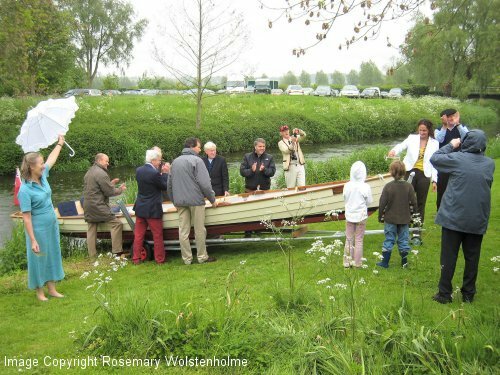 The launch of the ‘John Nash’ 13th May 2007. This 23ft rowing and sailing punt was commissioned by Francis and Lies Frost for use on the River Stour and for inland water expeditions, and was beautifully built by Fabian Bush. The launching party was a marvellous event which said so much about wooden boats and the people they attract.